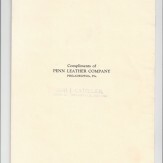 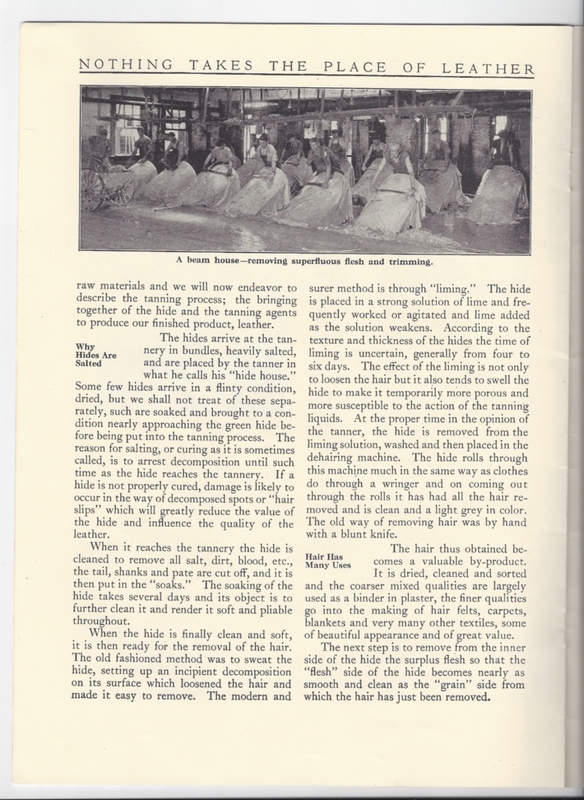 Booklet entitled "Nothing Takes the Place of Leather - A Brief History of Leather and a Description of Tanning". 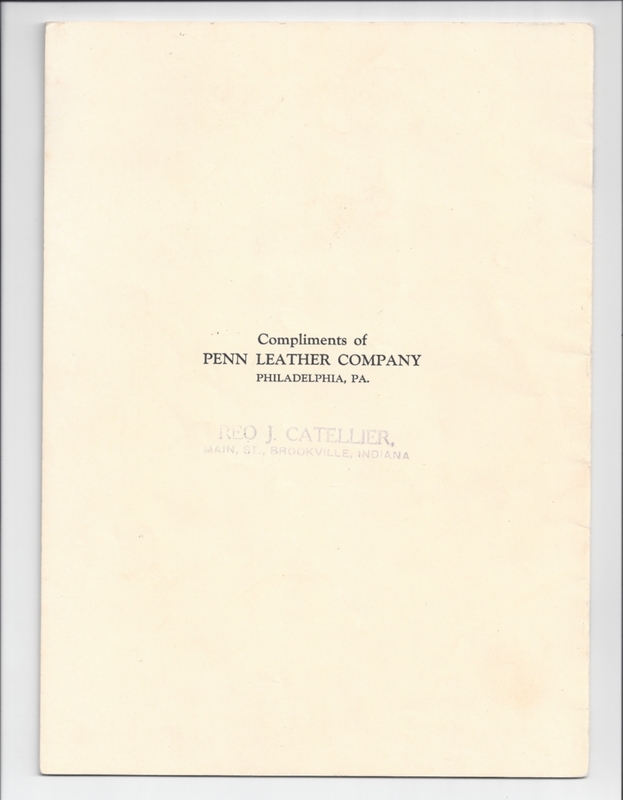 Produced by the American Sole & Belting Leather Tanners, Inc., New York, 1924. 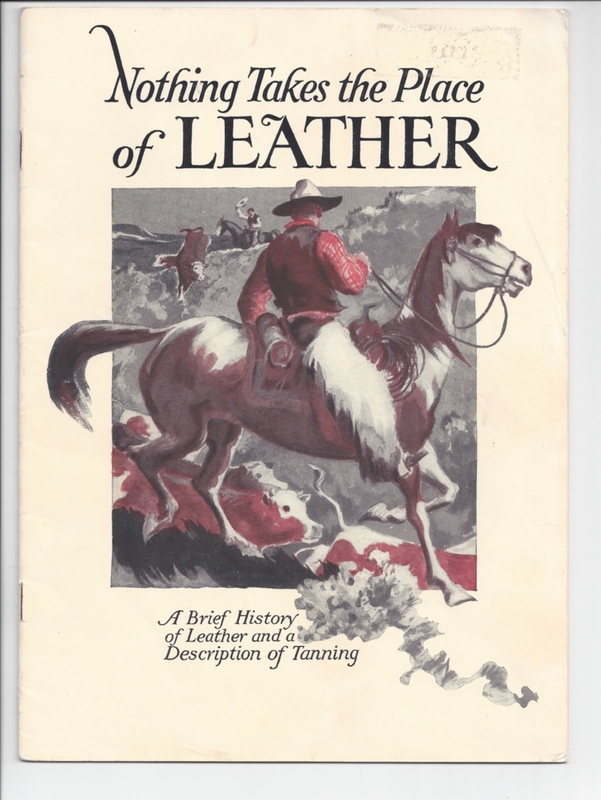 An interesting book especially if you're wondering about the differences between today's tanned leather and the earlier process. 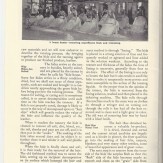 Measures 7.5" x 10.25"; 24 pages , black and white.